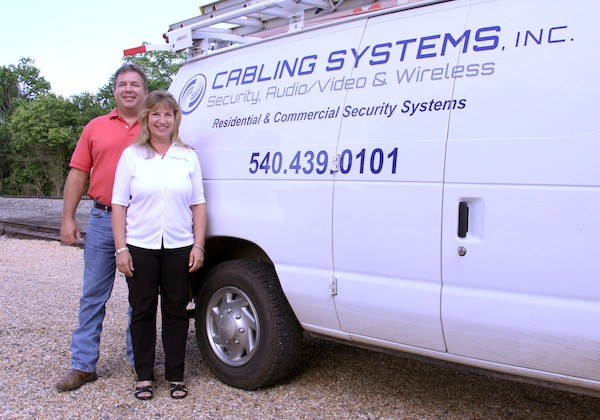 Customer Spotlight: Brian Hedges | Cabling Systems, Inc.
Brian Hedges has been a client of Cabling Systems, Inc. for the past six years. 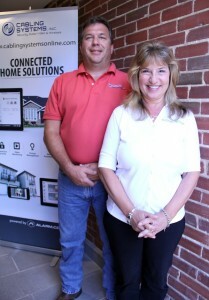 We installed a home security system for Brian several years ago and then recently upgraded his system to operate on a dedicated cellular connection. This allows him to be connected to what’s happening at his home with real time alerts and gives him remote control through the mobile app. I learned about Cabling Systems, Inc. the way most people do: through a friend who highly recommended them. My experience with them over the last six years leads me to confidently do the same. This is a family owned business, led by Glenn Duckworth and Sissy Duckworth. Prior to my initial installation, Glenn carefully and patiently listened to my needs, surveyed the property and presented the available options best suited to my situation. He then prepared a proposed contract which we went over together and I signed. The work was scheduled promptly and accomplished quickly with great professionalism and minimal disruption to myself and the property. In the succeeding six years I have had not a single problem with the installation and equipment. What I have had are many problems with the telephone line used for monitoring and Glenn and Sissy have always been quick to respond and helpful with silencing the internal beeps in the house when the line goes out. Eventually I concluded that I just didn’t want to deal with that landline. Glenn came out to discuss wireless options and Sissy checked out the adequacy of wireless signals at my location, after which Glenn gave me attractive pricing and I went wireless. Once again, the changes were made promptly with great professionalism and care. In general, and especially with something like a security system, there is no substitute for an extremely competent and customer oriented local business which will really take care of you. In point of fact, I don’t feel that this has cost me any more. In any case, it’s invaluable. In addition, Glenn and Sissy are good members of the community and supporting them is supporting the community. I’ll give just one example. The Friends of the Culpeper County Library needed to install an audio visual system in the Library’s meeting room, but couldn’t afford the bids that had come in. Glenn not only provided a contact, but provided consultation services and did the site survey pro bono, and the system got put in at an affordable forty percent less than earlier bids. This is typical of Cabling Systems, Inc.’s support of the communities, and non-profits in the communities, it serves. Thank you, Brian, for sharing your comments with us and the Culpeper / Warrenton community. We strive to provide exceptional customer service to each of our clients, and we are glad to hear that you are more than satisfied with the care and treatment you’ve received from our company. 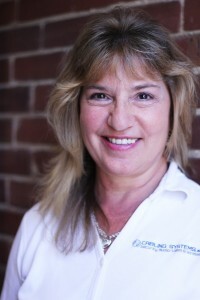 We owe our success to our loyal, satisfied clients and their referrals!